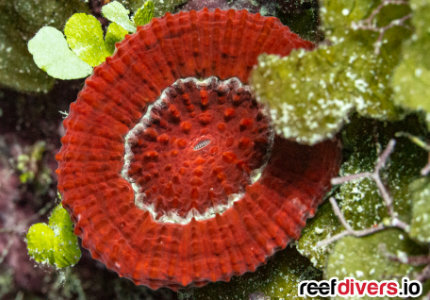 Scolymia is a large polyp coral species that lives a solitary life. 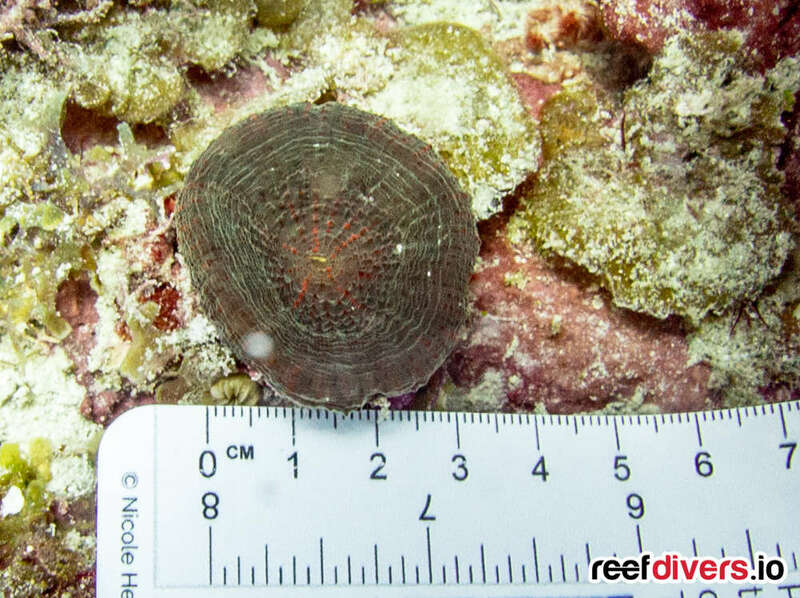 There are two species of Caribbean Scolymia, the larger Scolymia lacera, and smaller Scolymia cubensis and you can learn to identify both by clicking the links above. 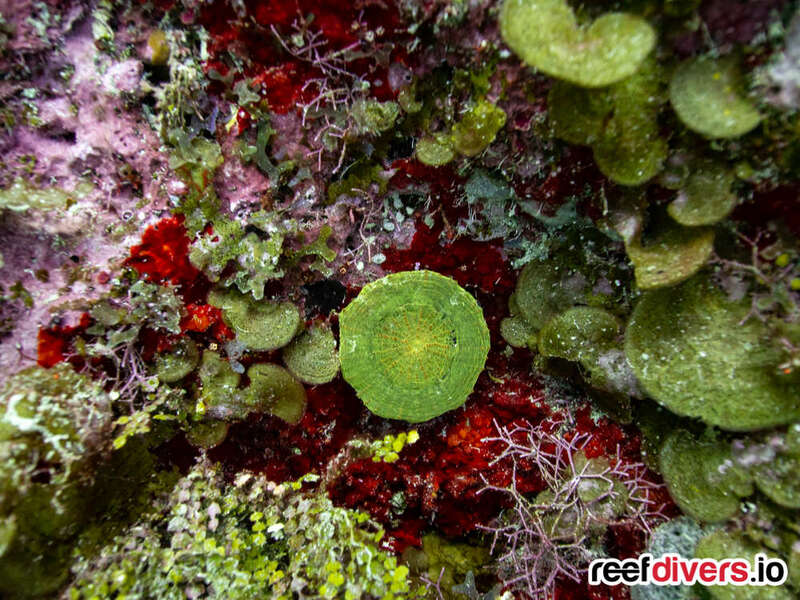 While scuba diving in Gardens of the Queen, Cuba we spotted a few dozen colorful examples of each species. 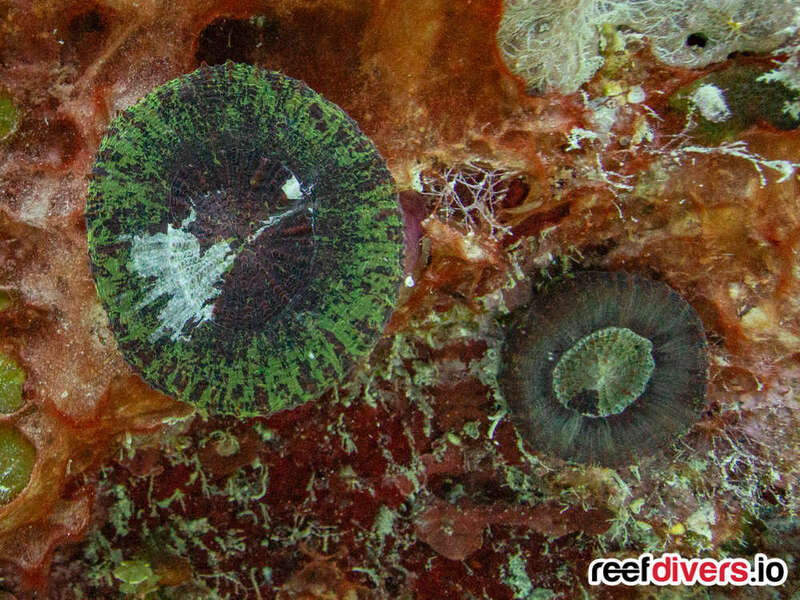 The two Scolymia corals inhabit slightly different zones. 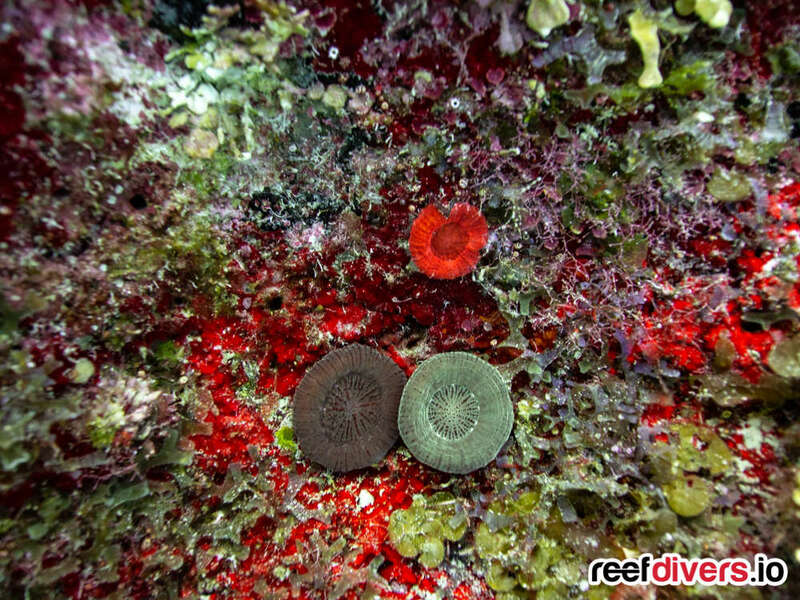 The larger of the two is often found on the sea floor surrounded by sediments, while the smaller Scolymia cubensis is found attached to rocky walls or hard reef substrate. 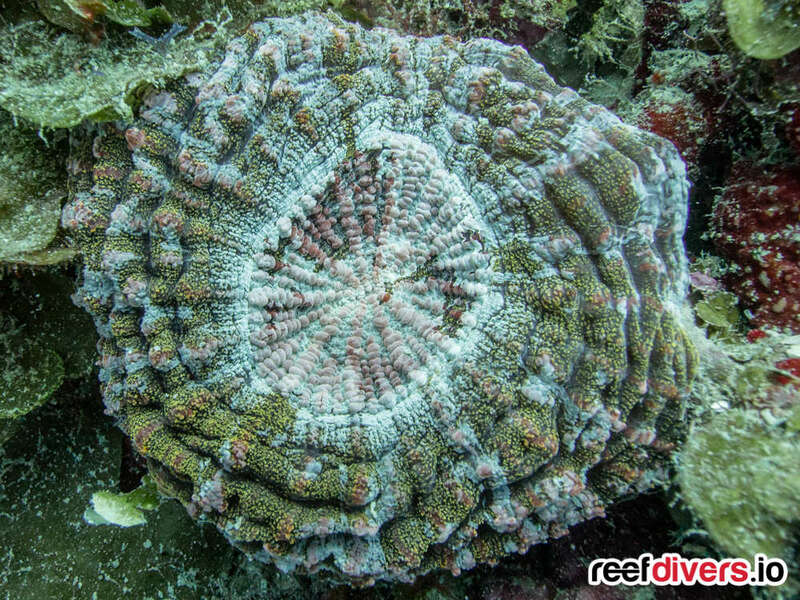 Size is one of the more obvious differences between the fully grown corals. But for smaller specimens, there are a few others characteristics which will help you positively identify each one. Scolymia lacera is the larger of the two photographed above on the left. 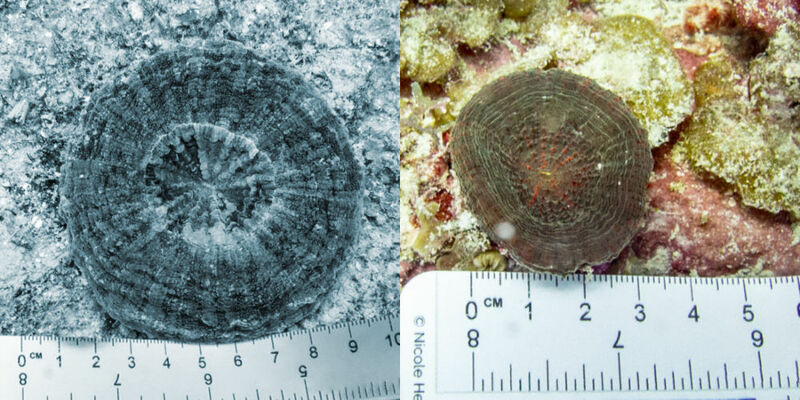 The best way to tell the two Scolymia species apart, after size, is to look for the lines of skeletal teeth radiating from the center of the polyp towards the edge of the coral. These ridges are more obvious on the larger species. 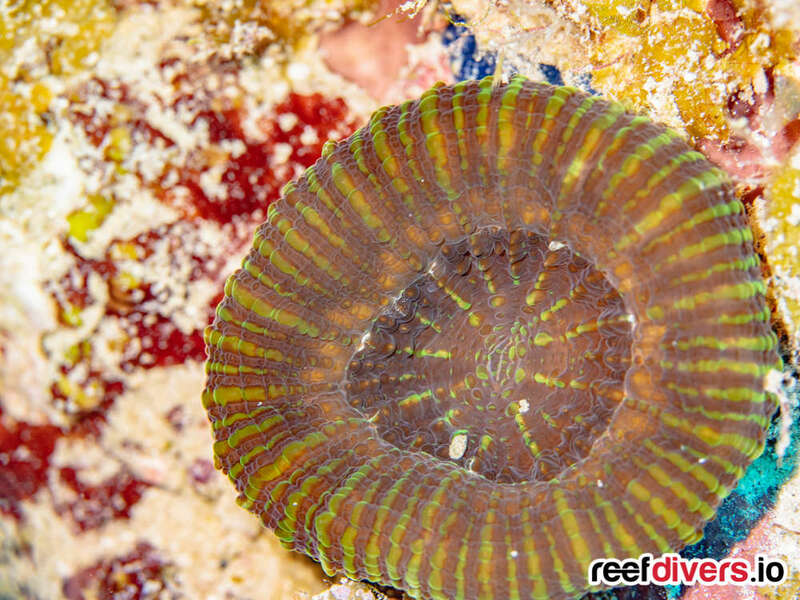 Scolymia lacera corals also have a much fleshier mantle and brighter vibrant color patterns. 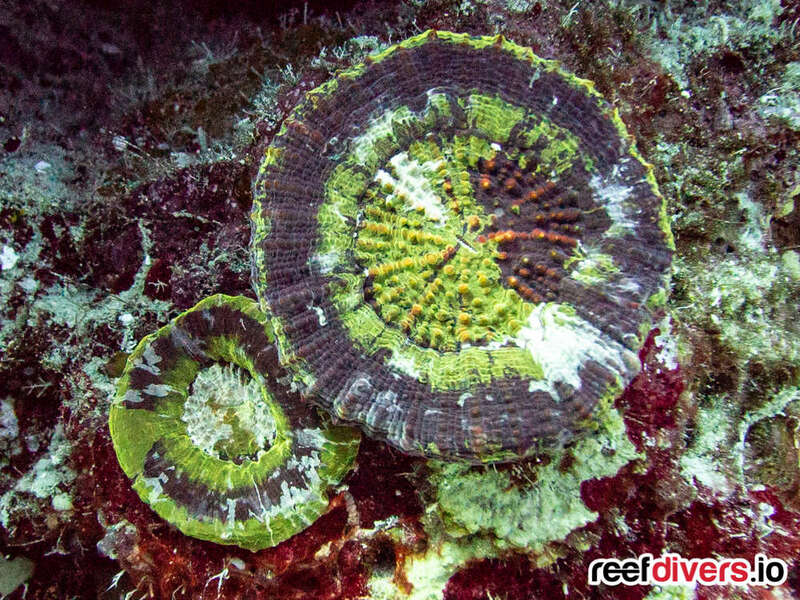 If you have a have a white or blue light with you underwater shine it on these corals to reveal intricate coloration. 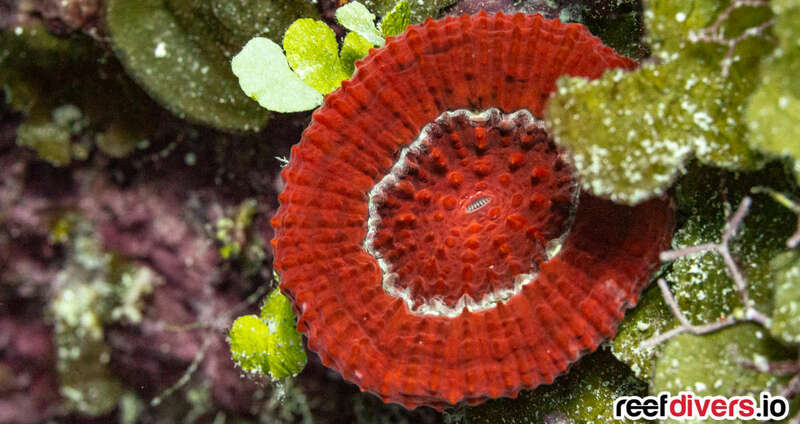 Scolymia cubensis, on the other hand, has a smoother, thinner mantle. 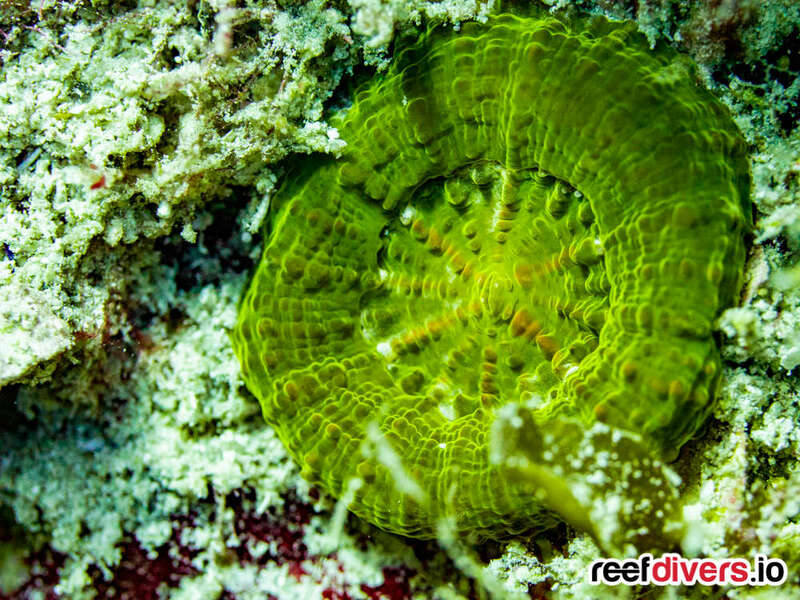 Below the fleshy tissue of this coral and is a hard calcium carbonate skeleton, with a mouth at the center of the polyp. While you can see the same radiating ridges from the mouth toward the edges, the skeleton of Scolymia cubensis is smaller, and the ridges a shallower. 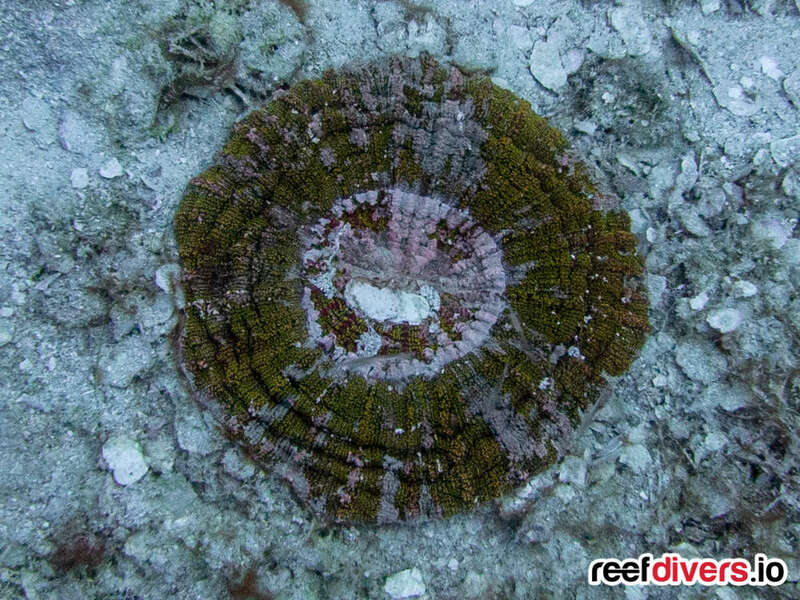 On the reef around Cuba Garden of the Queens, it was the smaller of the two (S. cubensis) which stole the show. 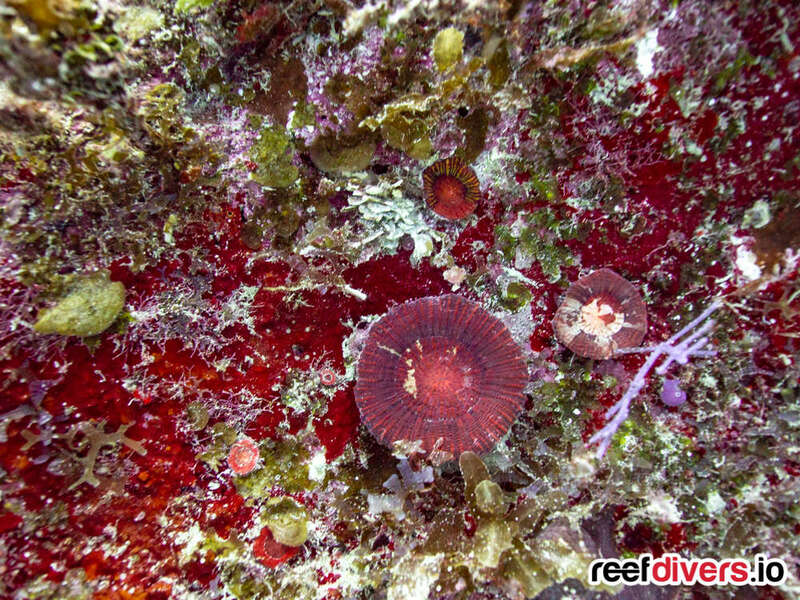 Nowhere else in the have you seen Scolymia coral like these! 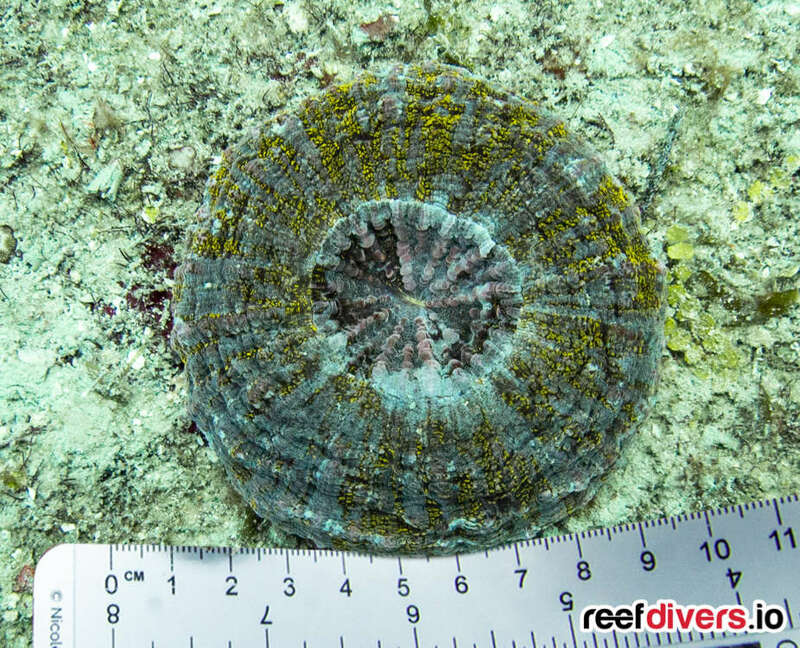 We found a few Scolymia corals on every dive but they were especially plentiful on the shallow reefs walls at the Mogotes dive site. 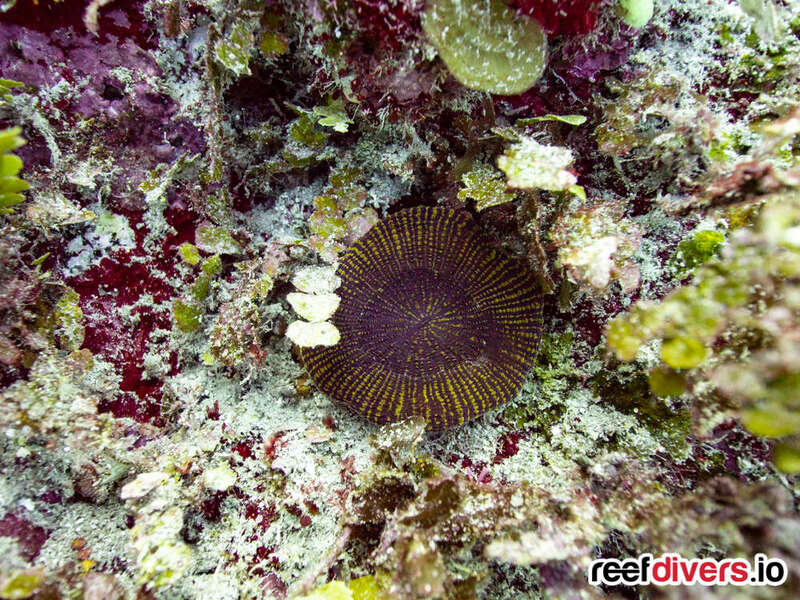 Mogotes dive is between 7 and 18m deep, starting on a shallow reef platform which cuts off into a vertical wall some 6-10m in height. I found lots of interested low light species colonizing this wall and it was actually one of my favorite dive sites during this trip. 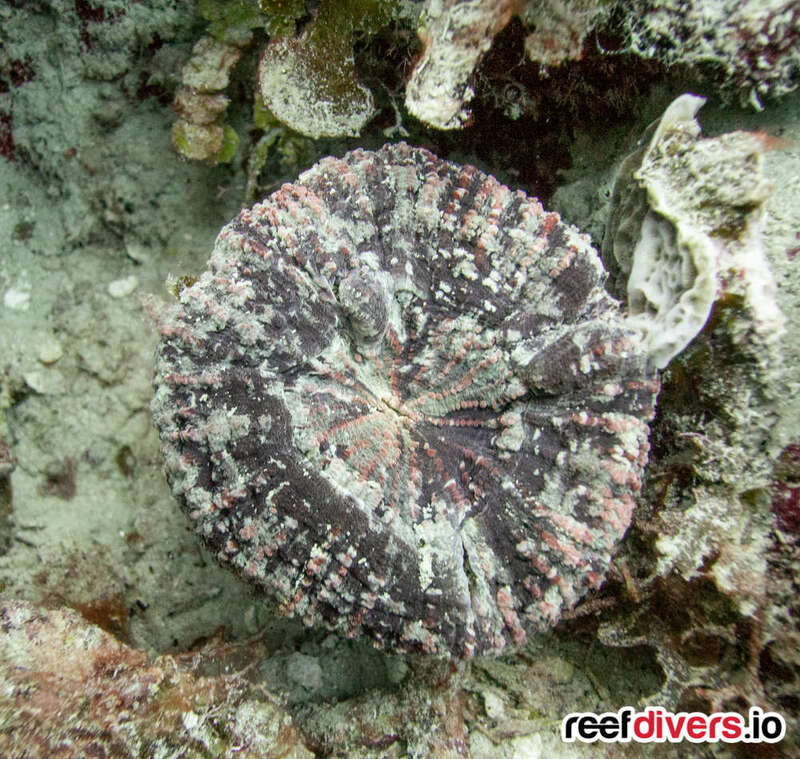 We also found similar reef walls covered in clusters of Scolymia at the Pius and Tarpon dive site, with more dispersed corals around La Cana, Finca de Pepe, and Fallaron sites. 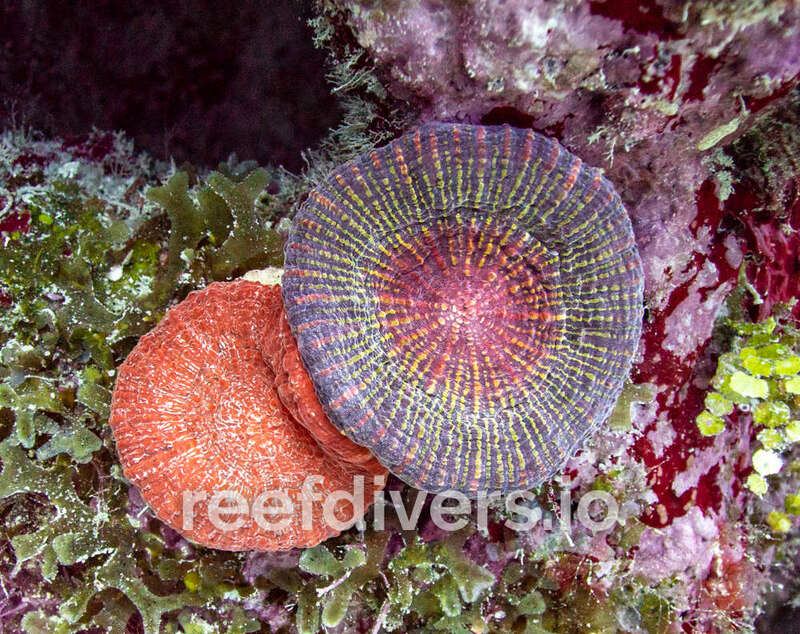 The rainbow Scolymia pictured above was the holy grail find of my Cuba trip. A diamond in the rough and bright example of why coral spotting never gets old. 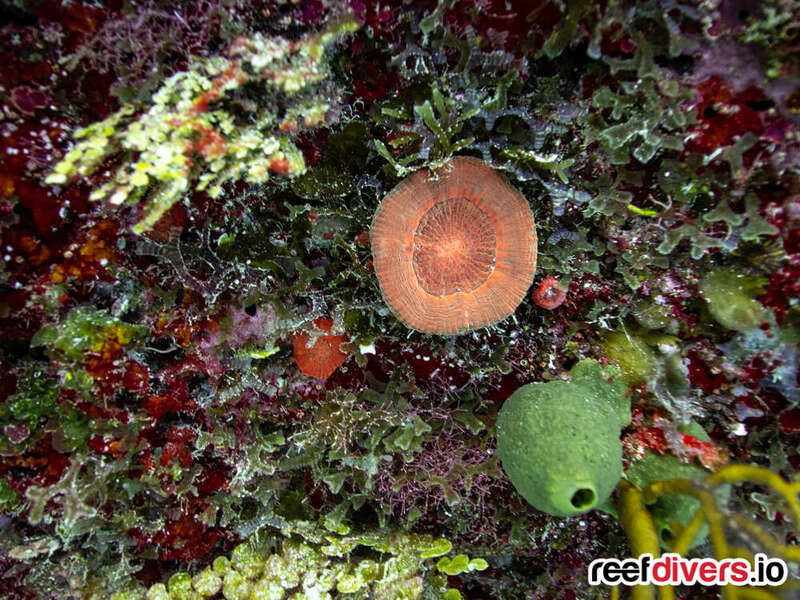 You can truly never predict the endless color combinations, neighbors, and environment which influences a corals growth. 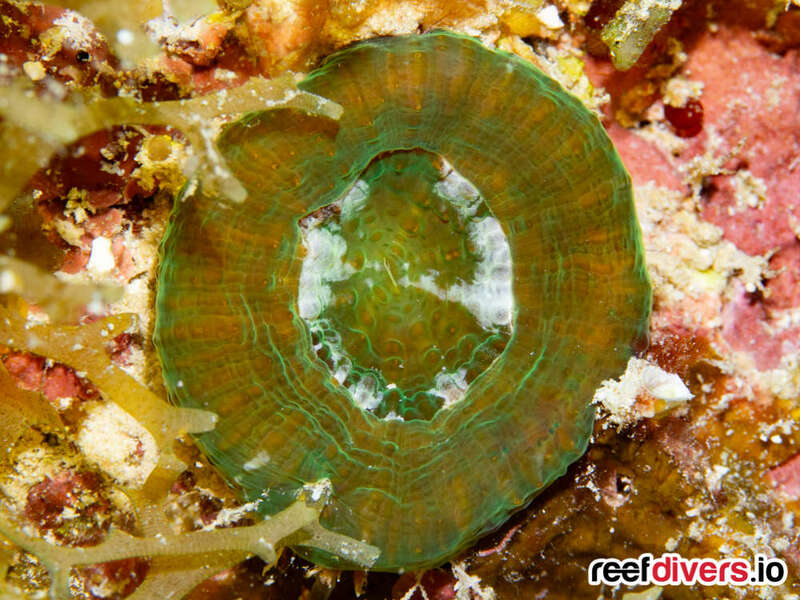 Give it a go, next time you’re scuba diving in the Caribbean and spend a dive looking for Scolymia the brightest diamond in the rough you will ever find in Cuba! We went diving with the Avalon II liveaboard while diving in Gardens of the Queen Cuba.